In a few years’ time, people won’t buy a car just to get from point A to point B. Cars are going to become more like computers. The whole concept of transport will change, according to Gerben-Jan Gerbrandy. Gerben-Jan Gerbrandy is a Dutch MEP affiliated with the Alliance of Liberals and Democrats for Europe (ALDE) group in the European Parliament. He is a member of the Committee on the Environment, Public Health and Food Safety (ENVI) and the Committee of Inquiry into Emission Measurements in the Automotive Sector (EMIS). Gerbrandy responded to questions from EURACTIV.sk’s Pavol Szalai at the T2gE conference in Bratislava. What were the key messages you came to deliver in Bratislava? My main message is that we have no choice. One way or another, we will transform our global economy into a completely sustainable economy. The question is not whether we are going to it or not, it’s more when and how. Since we know it is going to happen, we have to be very much aware of the fact that we are moving towards that objective and that we are united. It’s the biggest challenge we are facing as mankind. Terrorism and all other challenges are nothing compared to the huge challenge of staying within the natural limits of the planet. We have to hold strongly together – public, private, academics, others – in order to move towards this sustainable economy. Just small, incremental steps will not bring us where we want to go. We need a lot of creativity. It’s not only engineers making beautiful, sustainable products. It’s also societal, behavioral changes. The transition has to be made across the EU, but differences between member states are large. The Netherlands, for instance, has a lot of electric cars and many green tech patents. This is not the case for Slovakia. I was in Bratislava the last time 20 years ago. I see an incredible difference. The differences between Bratislava 20 years ago and now are much bigger than the Netherlands 20 years ago and now. Slovakia has the ability to move much faster. Where do you see the difference? Around in the city. And the only thing I have done so far was walk from my hotel to the Transition to the Green Economy conference. I am not going to say it is not going to be difficult. First of all, we have no choice. We have to think twice when making investments. Do they comply with our long-term targets for sustainability? Or are we throwing money into things that will have no value later on. You talked about electric cars. They are technically superior to combustion engines. They hardly need any maintenance; fuel is much cheaper. The Netherlands is one of the leading EU countries on electric cars. How did they achieve this? It has been fiscally stimulated. Not always in a smart way, I must say. Because the Dutch government spent literally billions on stimulating consumers to buy hybrid cars that can only drive 30 kilometers on an electric battery. So, it’s a not a huge improvement for the environment. The positive thing is you do create the infrastructure needed for electric cars. We have to move it further. Just buying more electric cars will not help. We should produce electric cars. Slovakia is one of the biggest global automobile producers, measured per capita. That’s great. We don’t produce cars in the Netherlands. There you see that your advantage might be different. Why is it important to produce electric cars? You don’t get money and produce jobs just by buying stuff from outside Europe. It’s not that long ago that we all had Nokia mobile phones. It was difficult to imagine that Nokia would go bankrupt in the near future. But in a few years’ time, Apple’s iPhone completely took over the market. Not through a lot of government interventions or because it was sustainable, but simply because the product was superior to Nokia. Nokia completely missed the development of transforming a phone into a smartphone. The same is going to happen with the car industry. In a few years’ time, you will not buy a car just to get from A to B. Cars are going to become more like computers. The whole concept of transport will change. Do we need some kind of EU support? It has nothing to do with support. It needs creative thinking. How are products going to change? How are demands of people going to change? 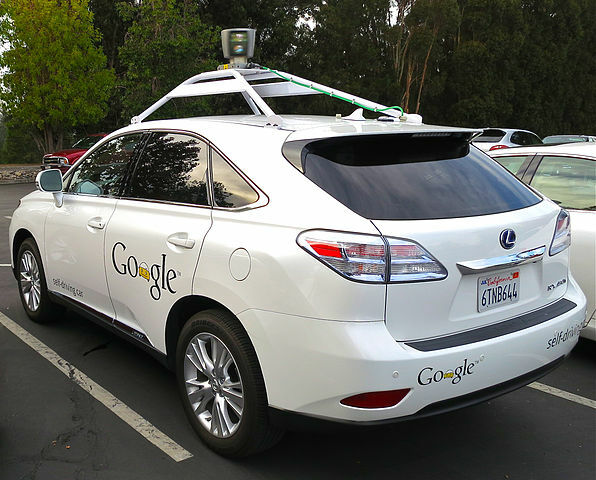 If we have autonomous cars, you don’t need a car yourself. Through an app, you can order a car within minutes in front of your house. You have no parking problem. It’s a car for everyone. That means a total change of business model for the whole car industry. And we are not that far from there. If we combine creativity with being much more sustainable, we are hitting the nail on its head. Jeremy Rifkin says that, too. You say that the Netherlands made a mistake when it directly supported consumers. Should we fund research and let businesses do their job and produce? Absolutely. And governments do play a big role there. One of their tasks is to invest in infrastructure. If you don’t have the charging stations, people will not buy electric cars. There are a lot of things governments should do. By the time our economy gets greener, we still have to deal with the fossil fuels and emissions of cars. You sit on the European Parliament’s inquiry committee into the Volkswagen scandal. The investigation is ongoing. What could be the repercussions of this inquiry? First of all, it’s important to note that we have already found out that Volkswagen was not the only one cheating. Almost all car manufacturers are somehow cheating to pass the emissions test easily and put on the road cars that emit much more NOX and other dangerous substances. It’s not an isolated case of Volkswagen. It’s really a fundamental problem. Secondly, we see that national governments are very strongly covering up for their national industries. Because they have to protect their national car manufacturers. But in the end, it’s a very foolish, short-term policy. We all know that we have to force the industry to be creative and become greener, smarter etc. One of the ways is setting the emissions standards. By letting them off the hook and allowing them to pass tests that do not reflect real-life emissions, we are not putting the pressure on the industry. Which means that, in the end, they will be outsmarted by cars from elsewhere that will be much more competitive. In 2008, in Detroit car companies went bankrupt. And we all said, they missed the point; we made our cars much more fuel-efficient; the Americans were used to cheap petrol and had to face the consequences. We were smarter, it was the European legislation that forced more fuel-efficient cars. But years after that we see that national companies, but also the European Commission, were not pushing the car industry to be more competitive. Are you saying that this is an issue of European competitiveness instead of punishing the manufacturers for breaking the rules? It has nothing to do with punishing. If I look at investments in clean, green technology, China is the champion of the world. Europe is falling behind very quickly. We all want to sell European cars to China. Chinese cities have huge problems with air quality, so they want clean cars. So the only way is to get zero-emission cars on the road there. Which means we have to force the industry to produce zero-emission cars. It all boils down to competitiveness. Already now, in many sectors, clean means more competitive. It will be the case in every sector. Tomorrow’s companies will either be sustainable or they simply won’t be. China and the United States recently ratified the Paris Agreement, bringing it closer to the 55% threshold. Could the agreement enter into force without the EU? It’s a huge humiliation for Europe. We all have excuses: We have very time-consuming parliamentary processes etc. If that is the only problem, OK. But we all know that some countries in Europe don’t want to ratify the Paris Agreement. There are not just procedural reasons for slowing down the process. What countries are you talking about? But Poland said it would ratify the Paris Agreement. They say a lot. But we all know they would have rather not seen the Paris Agreement in the first place. So, they don’t mind slowing down the process. But it is more than that. It’s an example of the way Europe is slowing down, while the rest of the world is speeding up. We have always claimed to be the leader on climate issues. And we might still be in certain aspects. But this is an example of slowing down. Look at my own country, the Netherlands. It was made public that in 2015, we emitted 5% more CO2 than in 2014. We have to go down considerably, towards zero emissions in 2050. How do you explain this emission hike? We use more coal-powered stations than the year before because coal is so cheap. But we have to phase it out and we should rather do it today than tomorrow. Because the external costs are much higher than the money you save from using coal. The Slovak Presidency runs until the end of the year. What will be the hottest issue regarding the circular economy in Brussels? The biggest challenge will be to make the EU Council, now chaired by Slovakia, a functioning institution. At the moment, the Council is a dysfunctional institution. It is not moving ahead. It is only pushing the breaks. We have just concluded negotiations on air quality, a huge problem in Europe. We have to improve it. The Commission came with a proposal, the Parliament sort of agreed. And the Council watered it down considerably, leaving out the whole agricultural sector which is an enormous source of pollution. You say the Council is dysfunctional. Can’t they simply have a different opinion? No. We have the obligation towards the citizens to provide clean air for them. We have about 700,000 people per year die prematurely because of bad air. If those deaths came from road safety or terrorism every year, it would be outrageous. We would be immediately forced by 500 million Europeans to change that. With air quality, we say, “well, no, it’s too hard for our industry”. That’s rubbish. We have an obligation and the Council is not delivering anymore. That’s what I fear also with a circular economy. Europe produces only 30% of the resources it uses so 70% is imported. We all know how dangerous it is to be dependent on oil and gas from Russia. This means the reasons for moving towards a circular economy are not only ecological. There are also economic and geopolitical reasons. I expect from the Slovak government that it turns the Council into a functioning institution. That means by definition greener. Because that is the only way ahead. I would be more concerned that the EU, despite its usual environmental prowess, is falling way behind on electric car development. We should be leading it and instead the industry here put all of its resources into endlessly fine tuning diesel engines to squeeze more and more km per gramme of CO2 out of them. The EU countries with car making industries really need to be massively incentivising R&D into electric cars and completely sustainable power trains, not just simply measuring CO2 output and ignoring the rest of the variables. California now leads the way on electric cars and Toyota of Japan has been mass marketing very successful hybrid cars since 2000. That’s 16 years. Yes, European cars may be stylish and cool, but we have allowed ourselves to become technology laggards – meanwhile Toyota, Honda, Tesla and even GM are passing us out!